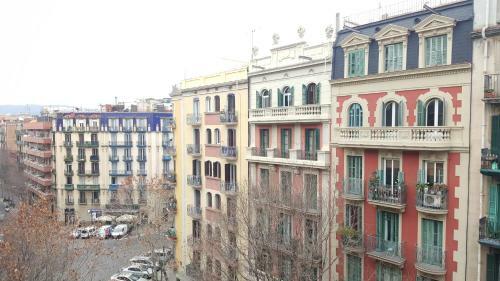 Set in Barcelona, Apartamento Entença offers free WiFi and units equipped with a kitchen and seating area. All units are equipped with a oven, microwave, a coffee machine, a toaster and kettle. Some units include a dining area and/or a balcony. Casa Batllo is 1.8 km from Apartamento Entença. The nearest airport is Barcelona El Prat Airport, 11 km from Apartamento Entença. This apartment has a toaster, dining area and electric kettle. Rate: € 85.00 ... € 120.00; select dates below to get current rates. This apartment features a kitchenware, oven and toaster. This apartment has a tile/marble floor, electric kettle and kitchenware.